It is hard for some people to imagine but there are no addresses in many Middle Eastern countries. Anyone who has lived in the region is aware of this fact and the pain it brings. Before Google Maps & WhatsApp, second-left-after-you-take-third-right-from-the-main-street kind of communication was perhaps the only choice for people to share their address. But things have become a lot easier lately. A young Jordanian entrepreneur begs to differ. 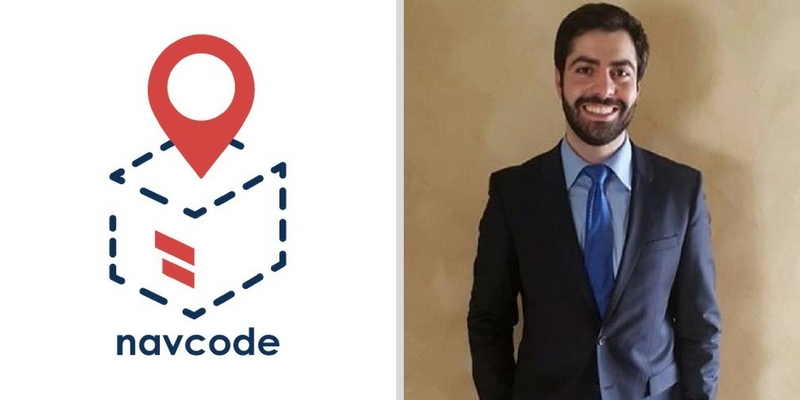 He thinks that businesses in MENA still face a lot of difficulties when making deliveries and that the region needs a smart addressing system, so he teamed up with his brother to start NavCode. Founded earlier this year by the 24-year-old Nassib Barakat and his 21-year-old brother Abdallah Barakat, NavCode is a network of addresses created by businesses who use the NavCode for Business platform. The startup closed a seed funding round, raising an investment of $100,000 from Jordan-based GMS Ventures & Investments. The addresses are represented by a four-letter alphanumerical code that contains a person’s name, phone number, street name, building number (if any), flat number, coordinates and special instructions (for example: don’t ring the doorbell after 8 pm). These codes can be used by businesses to locate anyone in the NavCode’s network without having the need to call them. NavCode for Business is a platform built on top of NavCode system. It allows businesses (for example restaurants, logistics companies, or any institution that has a delivery fleet) to monitor and manage their fleet in real time. The fleet also has access to the NavCode network in order to find customers, and can also add new customers to it. The platform allows businesses to get valuable data about their fleet including delivery time, trip time (time from restaurant/warehouse to customer and back), average delivery time per driver, average delivery time per branch and average delivery time of all branches combined. Businesses can also see the total number of deliveries, as well as the areas that have more deliveries, using the NavCode Heatmap. The most favorite feature of businesses using NavCode is the ability to track delivery drivers in real time and know their ETAs, Nassib told MENAbytes. Abdallah Barakat who is the Technical Co-founder is currently based in Scotland, pursuing a Bachelor’s degree in Electronics and Computer Science from the University of Edinburgh. Both the brothers developed the whole platform by themselves and used different tools to collaborate online. Nassib is also the alumnus of the same university, having graduated with a degree in Electronics and Electrical Engineering. He is also the founder of UrSmartHouse, an IoT startup he had founded right after returning to Jordan. Currently available in Jordan only, NavCode has already built a network of about 20,000 addresses which is growing with every passing day as whenever any of the businesses using NavCode’s platform delivers to a new address, a code for that address is created. It was not easy for NavCode to have these businesses onboard without having any addresses in their network in the initial days. “The biggest challenge was that we were trying to get companies to use NavCode without having any addresses and details in the network. This problem was resolved by convincing companies to first input the data themselves to get the wheel spinning. After explaining to businesses how NavCode could improve the efficiency of their operations, many of them were happy to join and we gave them a free trial for a month.” Nassib Barakat, the Co-Founder & CEO of NavCode told us. All the companies that tried NavCode became paying customers of the platform. The startup charges its customers with a small fee for every delivery with a monthly minimum and in return, they get to access the NavCode network and fleet management system dashboard with all the analytics. Currently, most of the customers of NavCode are restaurants. But according to Nassib, the possibilities of use cases for their product are endless. From NGOs to governments, he can see them all using it at some point in the future. “I think that NavCode, when it becomes what we have envisioned (the addressing standard), will be a crucial part of a country’s transportation system as it can be used for numerous purposes, especially the cases that represent a matter of life or death such as ambulances, firefighters or other emergency services that are lifesaving, which unfortunately waste a lot of time to reach the right location due to the fact that the addressing system is not very clear,” said Nassib. There is an international platform called what3words that is similar in terms of saving addresses against three random words but Nassib thinks that NavCode has a lot more to offer as it allows each code to be linked to specific data that can be very useful for localization. Turn8, Dubai-based VC had recently invested in what3words. NavCode currently has a team of five including the two co-founders. The startup plans to use the recently raised investment on hiring more developers and sales staff. They also have plans to expand to Saudi market very soon, and UAE & Morocco and a later stage. If this young team of NavCode could turn their vision of having NavCode as addressing standard into reality even in one country of the region, they could be next big thing in logistics. But we’ll let time be the judge of that.